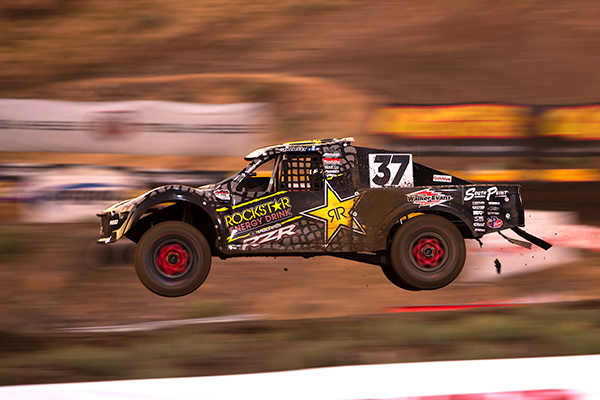 Team RJ37 headed up north to Nevada for round 6 of the Lucas Oil Off Road Racing Series at Wild West Motorsports Park. 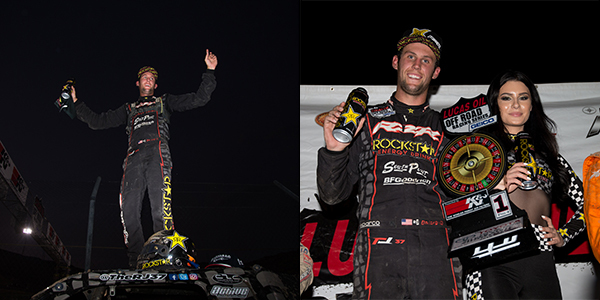 This race is special for RJ, it was where he got his first Pro4 win last season. After a heartbreaking finish in Wheatland RJ was driven to put the Pro4 on top of the box in Sparks. During qualifying we experienced a torrential down pour canceling qualifying. With no qualifying laps, the trucks would be positioned on the starting line by the points standing with RJ being out front with the points lead. RJ held a solid lead all race until a competitor ran into him causing a flat. RJ would speed to the hot pits during a full course caution where the RJ37 team replaced the tire in time for RJ to get back on the track before the green flag. 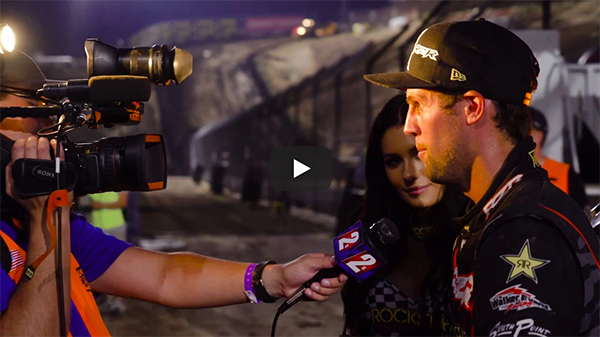 RJ picked up two positions in the first corner and would put the Rockstar Energy/ Polaris RZR Pro4 in the front of the pack within the first lap. 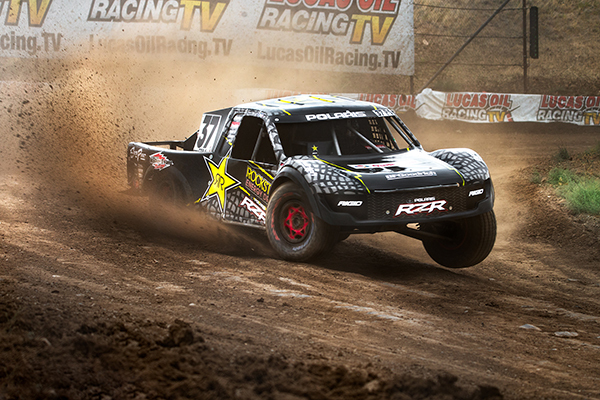 With a clear lead on the competition RJ crossed the line first for his second first place win in the Pro4! 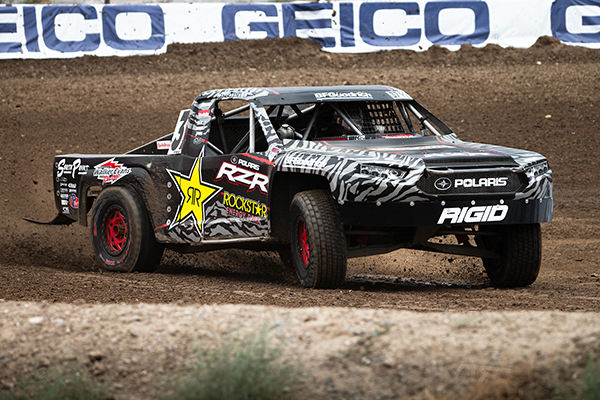 RJ solidified his points lead in the Pro4 sitting 15 points ahead from the closest competition. We had a tough round of racing in the Pro2 due to mechanical issues. However we are still sitting third place in the points lead, time to get back to the drawing board and come back stronger & faster for the next race in Tooele, Utah. 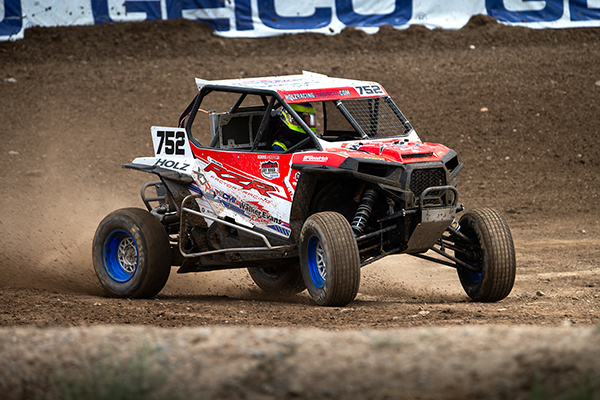 For the remainder of the season Walker Evans Racing team-mate Myles Cheek will be filling in for Ronnie Anderson in the Turbo UTV class. During qualifying Myles would obtain third fastest putting him in a good position for the race. 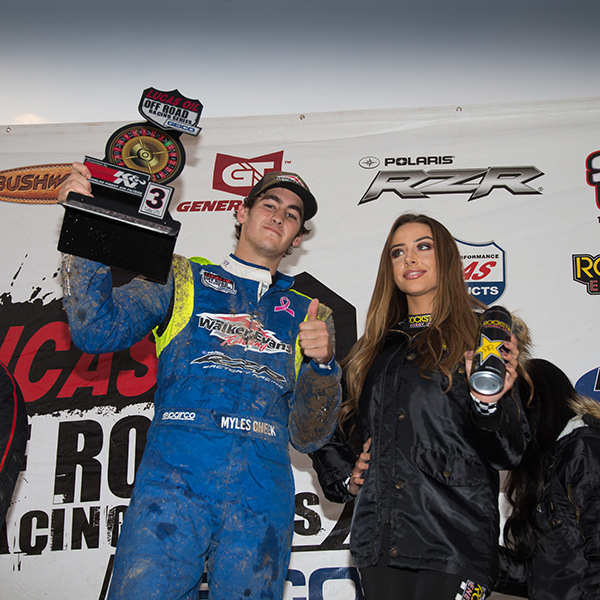 Myles would hold that position all race and finish with a third place podium. Copyright © 2018 RJ37 Off Road, All rights reserved.